In this asp.net post we provide online shopping website project in c# source code with sql server database file of online shopping website. Abstract : Online Shopping website with customer and admin module. The Online Shoes Shopping website is a web based application developed in visual studio 2010 using c# language, which helps consumer to find latest shoes with different patterns on internet. This website allow people to directly buy latest shoes from website. Online Shoes Shopping project has main two module : Customer and Admin. The customer is a user who want to buy products from our website. For buy shoes user need to register first and after he can buy product and finally make a online payment for confirm the order. After confirm order user gets shoes on his delivery address. The Admin is a responsible person to run the website, or we can say the owner of a website. Admin can manage all products, customer detail and order detail. Admin can add, delete and update any information regarding to shoes. Admin : Admin is a responsible person to run the whole system. Admin can add, delete, update all information related to system like category, item information, order information. User / Customer : User is a visitor, who visit the site and buy something from our website by making a online payment. Both user and admin have different task in online shopping system. lets describe each module task with short description below. 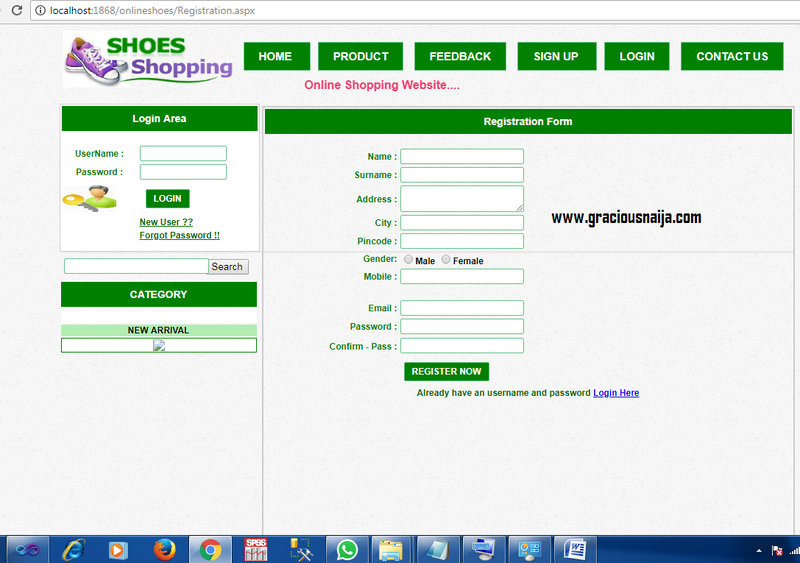 What you will get when you buy Online Shoes Shopping Website source code and software from us.